Club Penguin started as an online game, but has become so much more. With lots of real toys and merchandise available, little penguins are popping up everywhere. In the online game Snow Trekker is a mini-game found in Club Penguin: Elite Penguin Force. 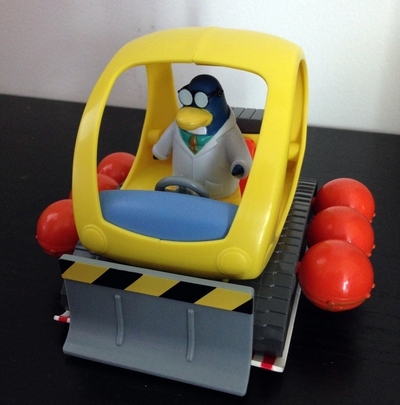 It features the Snow Cat vehicle, and is sometimes used in some of the EPF Missions. When you purchase the actual toy, you get a gold coin, which unlocks extra items in the online game. You also get Gary the Gadget Guy who drives the trekker. Club Penguin Snow Trekker is suitable for children aged 5 and over and is available from toy stores and online stores, such as Amazon. Do you prefer to holiday by the sea or inland?